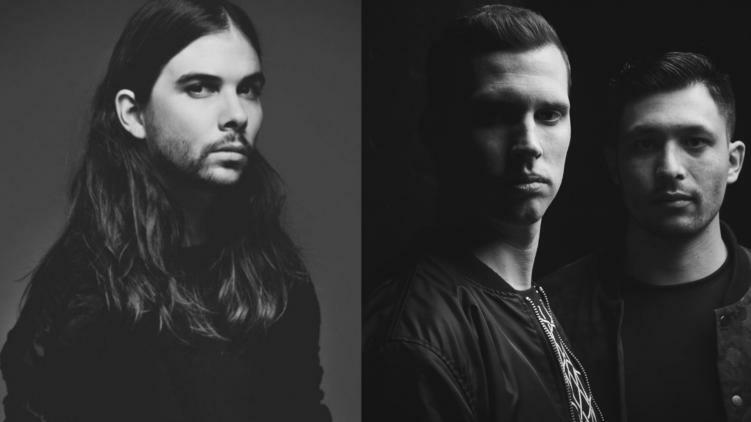 SLANDER, Seven Lions, & Dabin have released track after track in 2018, so it only seems right the three should collab on a brand new single. The song in question is titled ‘First Time,’ and features Singer Dylan Matthew. The trio have teased the song for months, dropping it at festival after festival. Seven Lions recently brought out Dabin and Slander at Veld festival earlier this year. You can see that madness below. But as of today, the waiting game is over; we’ve been gifted with a release date. ‘First Time’ is set to drop Friday on Seven Lions label. The song features exactly what you think it would, Seven Lions melodic vibe, melodic drops, and Dylan Matthew clean-cut vocals. Monday can’t come fast enough. Hi I’m I think you need to contact the Seven Lions team and get a media release. This photo you are using is a LEAKED photo and it’s not in the nature of music websites to leak information before the artist wants it RELEASED. Hi Angie. Thanks for your imput. We will contact Rephlektor and seek a media release, as we work with them often. Just to be clear, River Beats did not “LEAK” anything. We merely reported information we found on reddit and other souces. The photo was removed. Thank you. It is actually dropping on friday. As noted in Slander’s tweet.